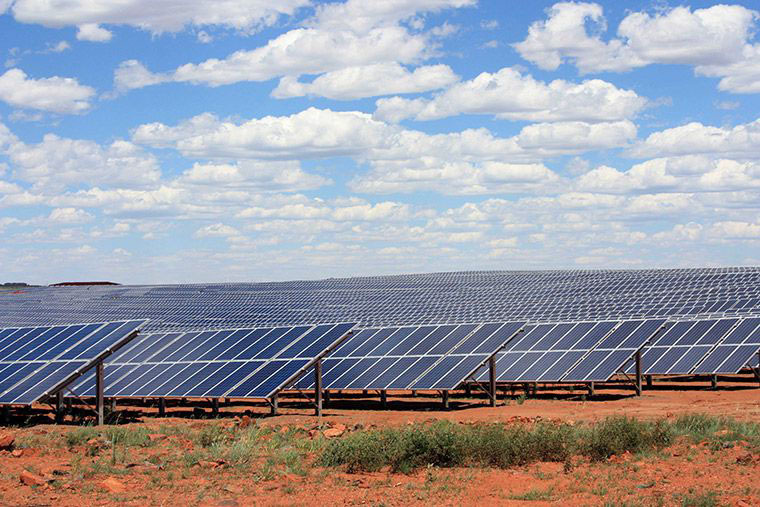 Grupo Cobra will build the country’s largest photovoltaic plant in Zaragoza after being awarded 1,550 MW in photovoltaic energy in the recent renewable energy auctions held by the Spanish Government. The Zaragoza complex will be comprised of 12 photovoltaic energy plants, the construction of which will generate 500 jobs. Specifically, Cobra will build eight of the twelve photovoltaic energy plants in the town of Escatrón, and the other four in Chiprana, both in the province of Zaragoza. The facilities will cover a total surface area of 2,369 hectares. Once operational, they will prevent the emission of 1.075 million tonnes of CO2 into the environment, compared to if the same energy were generated with a coal-burning thermal plant, or 446,600 tonnes of CO2 if it were produced at natural gas-burning thermal plants.